Imogen's Typewriter. 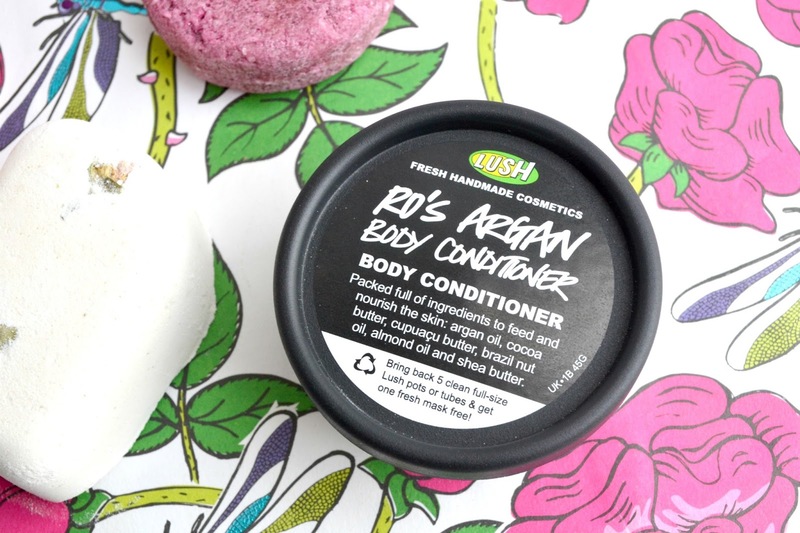 : Beauty Review: Lush's Rosie Gift! 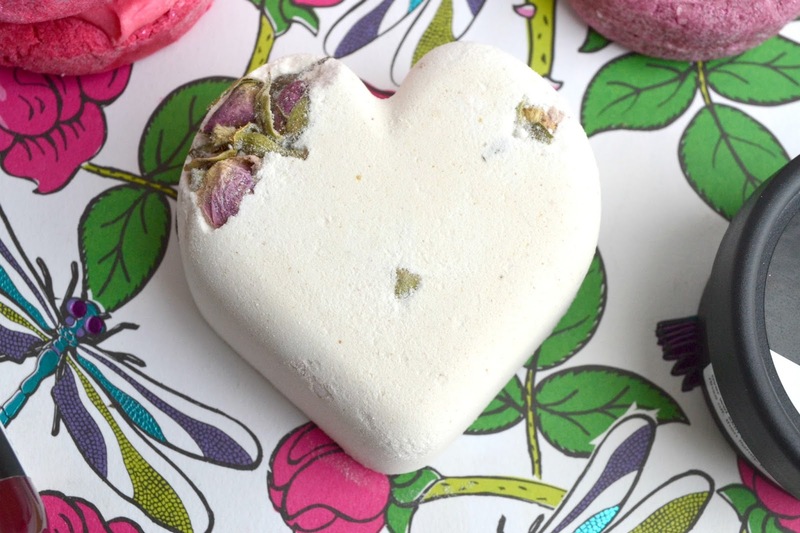 Beauty Review: Lush's Rosie Gift! 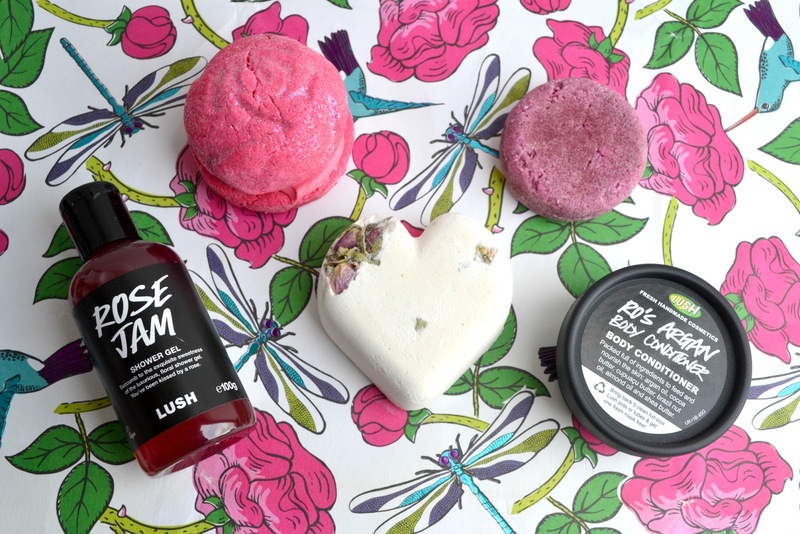 With Spring in full swing, it seemed like the right time to review Lush's Rosie gift set and it's contents! It's such a beautiful present that I saved the wrapping paper, now I just need a DIY to use it. Any recommendations or ideas would be much appreciated! I'll find something. It's super pretty paper and matches the greatness of this gift. How about some reviews, eh? I've never been a Lush shower gel kind of person. The soaps always interest me more because of the colours and textures. But I actually love this one, a little goes a long way and the scent is actually noticeable- something I can't say for all shower gels. You can't buy this separately at the moment but it'll probably pop up in the Kitchen eventually. 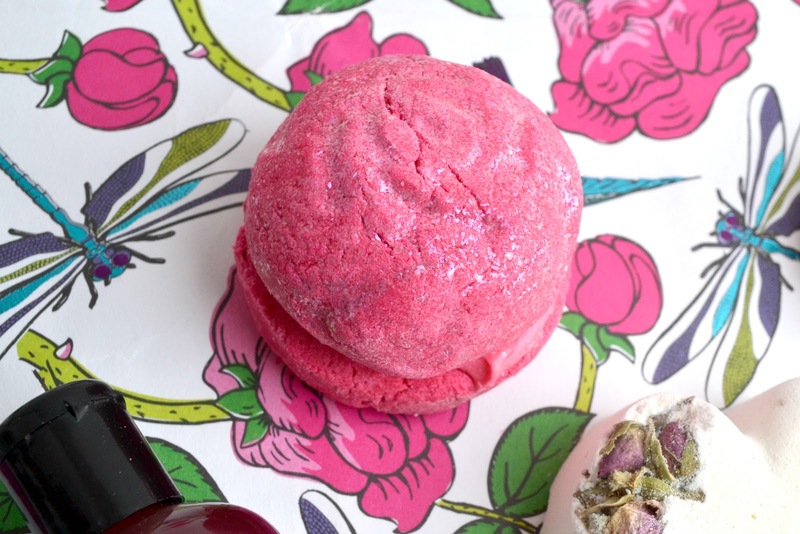 It's love when it comes to this bubble bar. The Rose Jam Bubbleroon smells, unsurprisingly, like rose. I managed to split it in two and both baths were bubble-y and perfect. 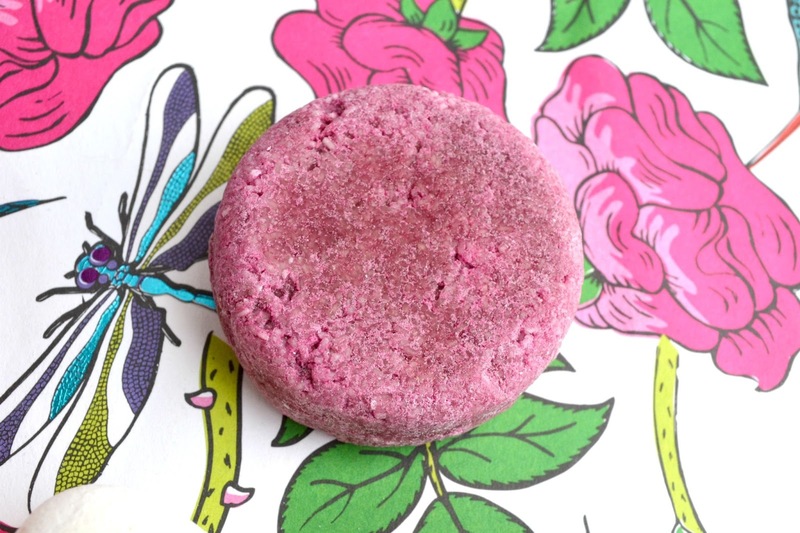 The thing I love about bubbleroons is the bath melt centre that stops the bubbles drying out your skin and can be really moisturising. It's a bit pricey at £3.75 but it's a nice treat. I'll pick it up again! On the other hand, the Tisty Tosty bath bomb left a lot to be desired. 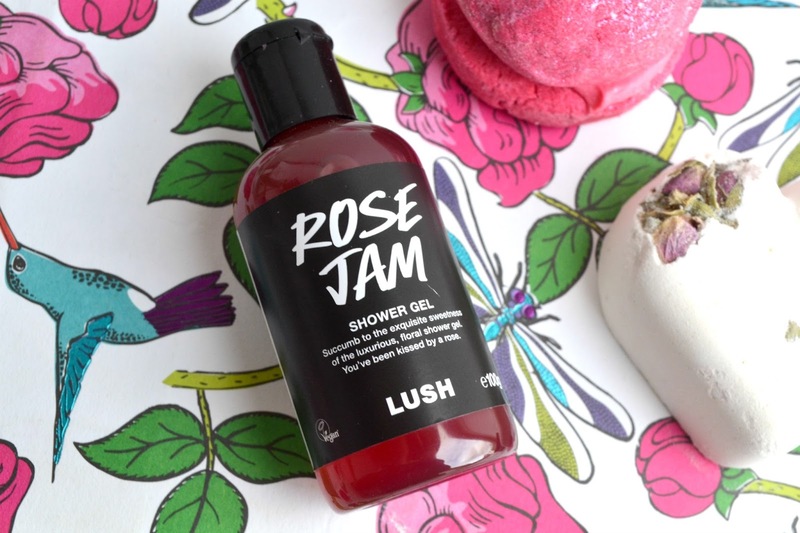 There was nothing fun about it unless you like sharing your bathwater with seven gooey rose buds, no colour to the bath water and the smell was an overpowering floral perfume. At £3.50, I just didn't get anything from it. 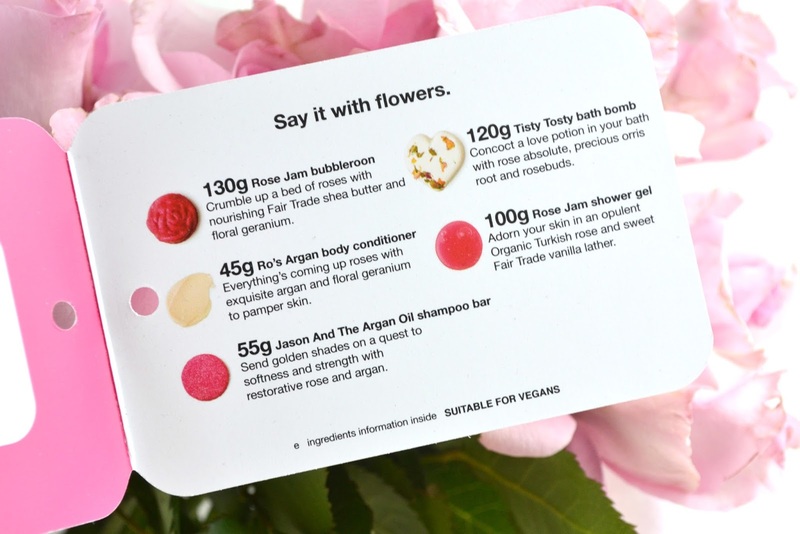 I love a good pun so this Jason and the Argon Oil shampoo bar was right up my street. I'm not blonde but it made my hair really shiny and soft without irritating my scalp like most shampoos. I haven't had a shampoo bar in a while and forgot how much I loved them! This one is available here for £5.95 and I'm already thinking about which I'll buy next. Overall, I love the Rosie gift. It comes with a good selection of things to try and even if I don't love them all, I know I'll be repurchasing a couple. You can get it here for £24.50 and it's perfect for any birthdays coming up! 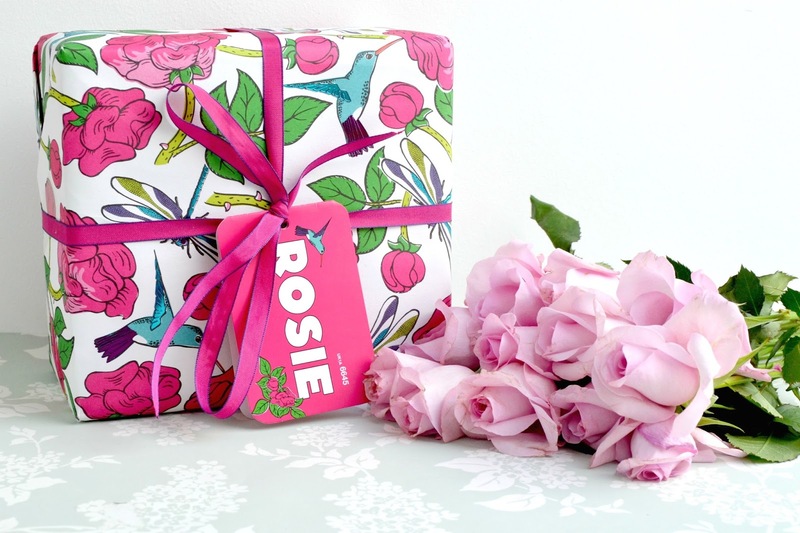 What do you think of the Rosie gift? Guest Post: How to Get Out of a Reading Slump! 5 (More) Things to Watch on UK Netflix! Victoria Walters: Top 5 Books! Comic Books I Read in.. March! Books I Read in.. March!